So, I’m slightly adapting the Waiting on Wednesday meme (hosted by Jill over at Breaking the Spine). Normally, WOW highlights books we can’t wait for, but since I also review movies and tv shows, I thought I’d add some of those to my WOW schedule! 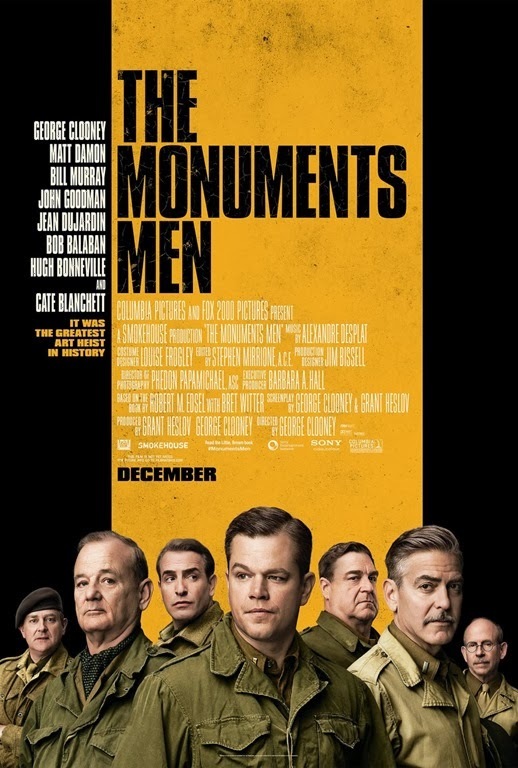 IMDB Summary: An unlikely World War II platoon are tasked to rescue art masterpieces from Nazi thieves and return them to their owners. I don’t know a whole lot about this movie, but from the trailer it looks like it has a lot of potential. The thought of burning all that art kills me, so the fact that these men are sacrificing their lives to save it is a very attractive storyline. I’ll be interested to see how it turns out.